I did two projects to help the front porch look her best. 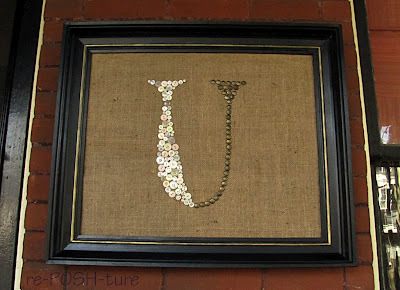 Our family name begins with "U" so I made an initial frame out of burlap, buttons, and upholstery tacks. 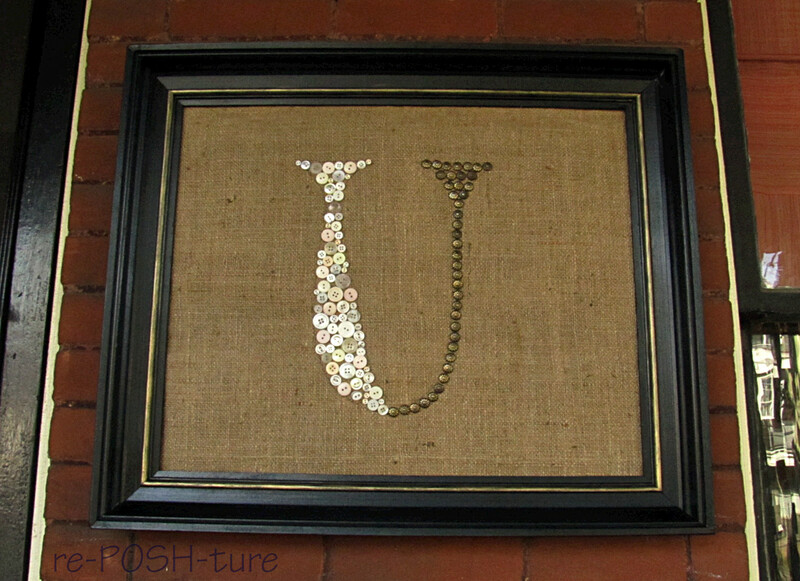 I cut out a large U from a font I found online at the Graphics Fairy, modified it a bit and then traced it onto the burlap. 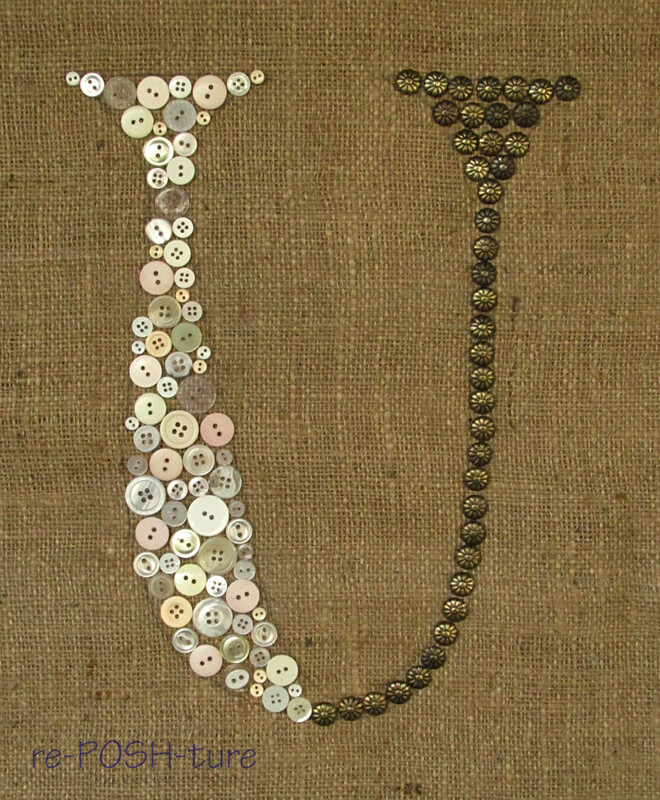 Then using buttons in the white/cream family, filled in one side. I was not going to have enough to do both sides so I finished with the upholstery tacks. I love it even more than my original idea because there is so much texture in the composition. My pumpkins were peeling and a fright from lack of Poshness. So I grabbed the glam-in-a-can and got to work. The gold one was sprayed gold first then I used my rubbed bronze in short bursts to give it the splotches. Then stood back about 2 feet and sprayed the bronze like your supposed to to age it a little more. 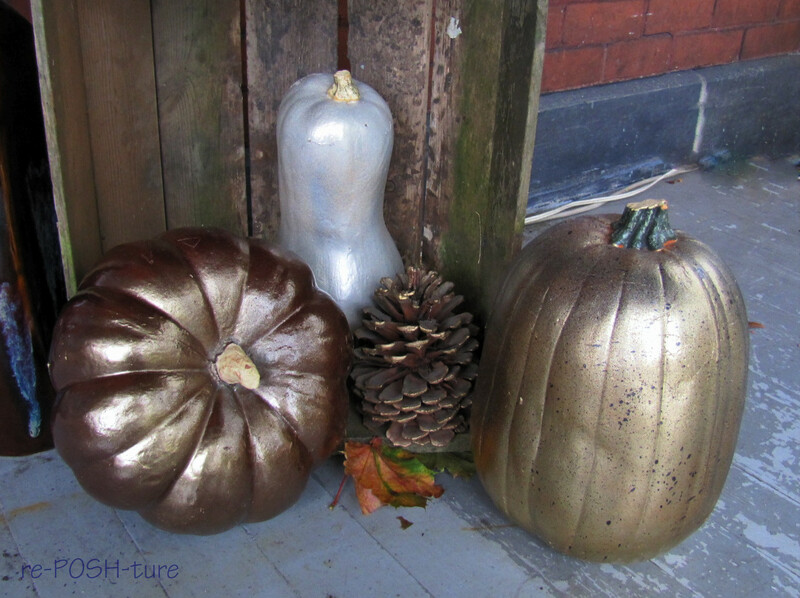 The butternut squash is layered with cream and silver to look more like a pearl finish although it looks more silver than is is in the picture. The brown is my favorite. I used Kona brown all over and then stood back about 2 feet again and lightly sprayed the gold. What have you done for your porches to make them posh for Fall? 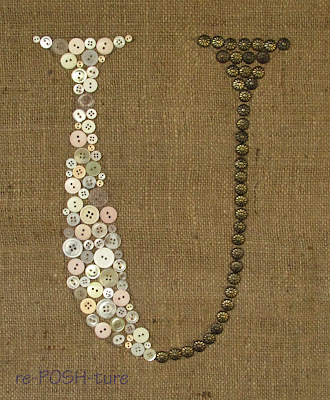 And don't forget to head on over to B3hd to vote for my upcycled purse! The poll is on the right sidebar!